Owners of the 25th and 47th picks in the NBA Draft, the Lakers have begun working out college and international prospects ahead of selection day on June 21. 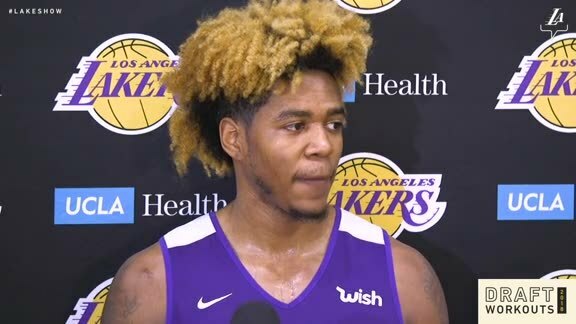 On Wednesday, six more players auditioned for the purple and gold at the UCLA Health Training Center. In his lone year with the Flyers, Antetokounmpo saw reserve minutes (15.1) and averaged 5.2 points along with 1.07 blocks. The younger brother of Giannis Antetokounmpo, Kostas considers himself more of a shooter than the Milwaukee all-star, though he attempted only 15 3-pointers, making two. "I feel like a lot of bigs (in the NBA) right now are having a hard time guarding multiple spots," Antetokounmpo said. "I'm trying to put that in the NBA: trying to guard multiple spots. A lot of teams talk about now how they want to switch (positions) 1 through 5. I feel like that's one of my biggest attributes." One of the top offensive weapons in his league, Bryant ranked second in the West Coast Conference in scoring (18.2). He was also among the top 10 in rebounds (6.3) and steals (1.3), while hitting 2.4 3-pointers on a 41.5 percent clip. Few players in the nation brought it on the defensive end as Carter, a two-time recipient of the Lefty Driesel Award for best defender in the NCAA. A Second Team All-American this year, he swiped the second-most steals per game (3.0) in the country. "I take a lot of pride in defending," Carter said. "I want to go out there and guard the best player and stop him. And make him guard me on the offensive end." The San Diego native was a facilitator for his hometown Aztecs, averaging the fourth-most assists (4.1) in the Mountain West. Kell also averaged 10.5 points and 1.4 steals. Fresh off a national championship victory, the 2018 Big East Rookie of the Year is looking to bring his hallmark defense to the NBA. Spellman ranked second in the Big East in both blocks (1.5) and defensive rating (96.7), while also hauling down the fourth-most rebounds (8.0). 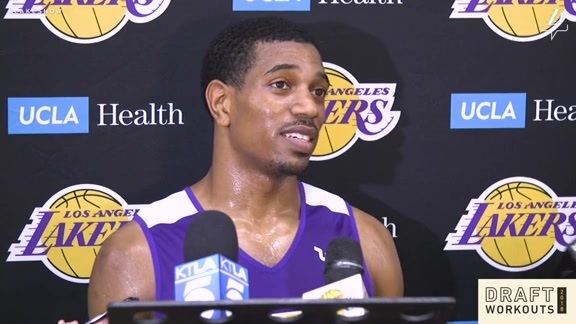 He received feedback from the Lakers' front office and coaching staff, who told him to: "Just stay aggressive. They thought today I just settled a little bit for jumpers. Just keep attacking the basket." In his freshman year with the Blue Devils, Trent lit up the ACC from downtown, leading the conference in 3-point percentage while hitting the third-most 3's (97). He also averaged 14.5 points and started every game.